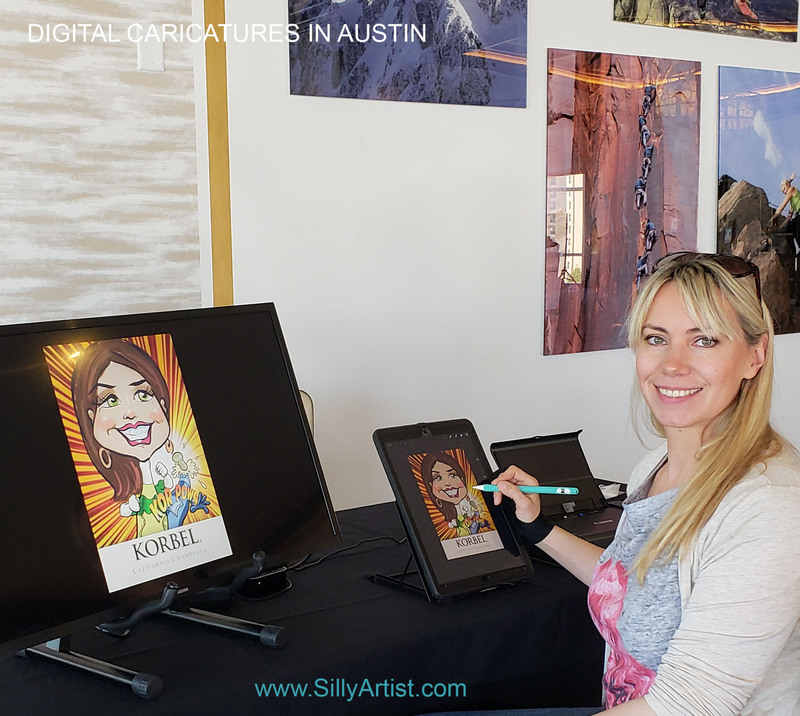 I am available for Custom Digital and Traditional Caricatures from Photos and Party Caricatures & Live Portraits Sketches of People and Pets at Public and Private Events, Corporate functions, Birthday Parties in Austin, Round Rock, Cedar Park, Leander, Georgetown, Pflugerville, and surrounding areas. 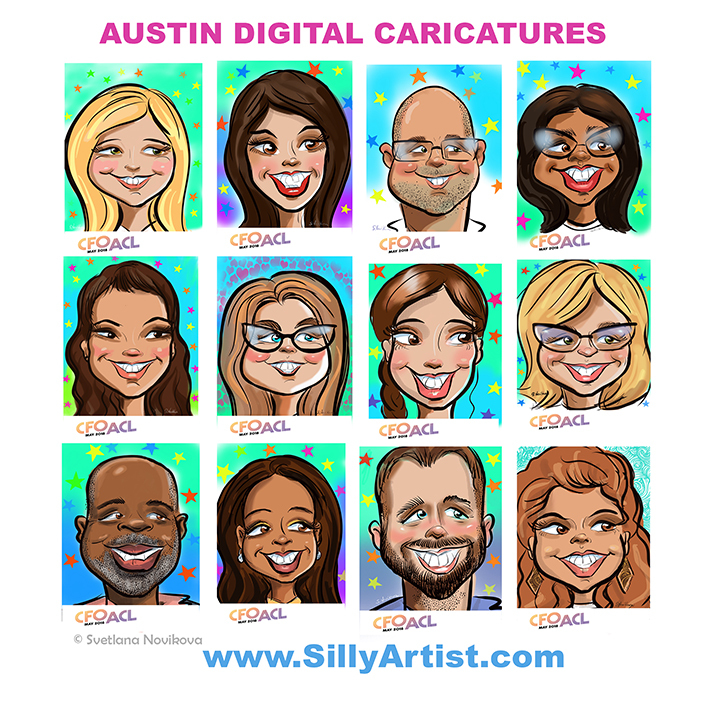 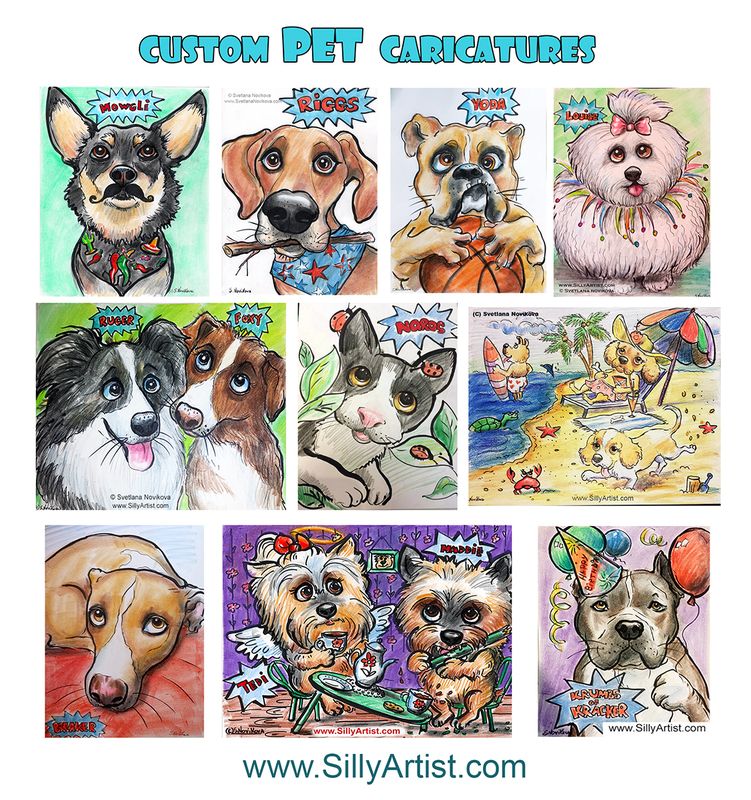 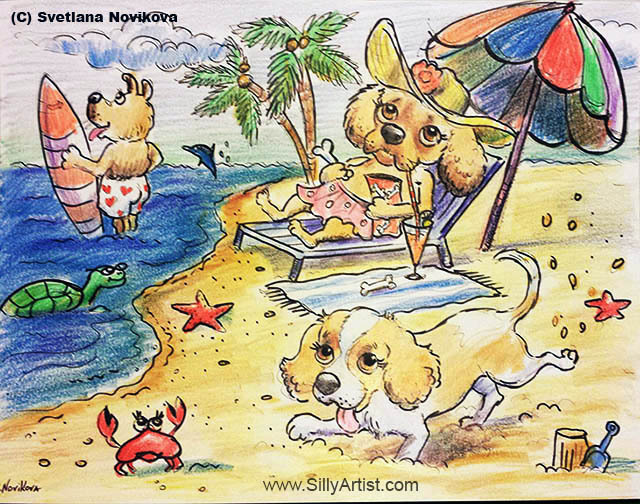 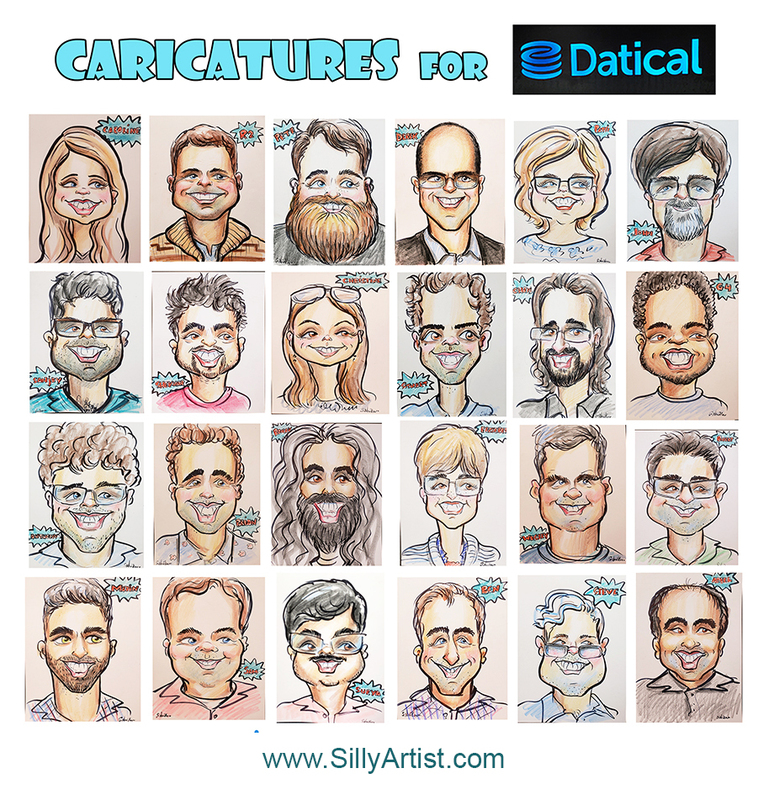 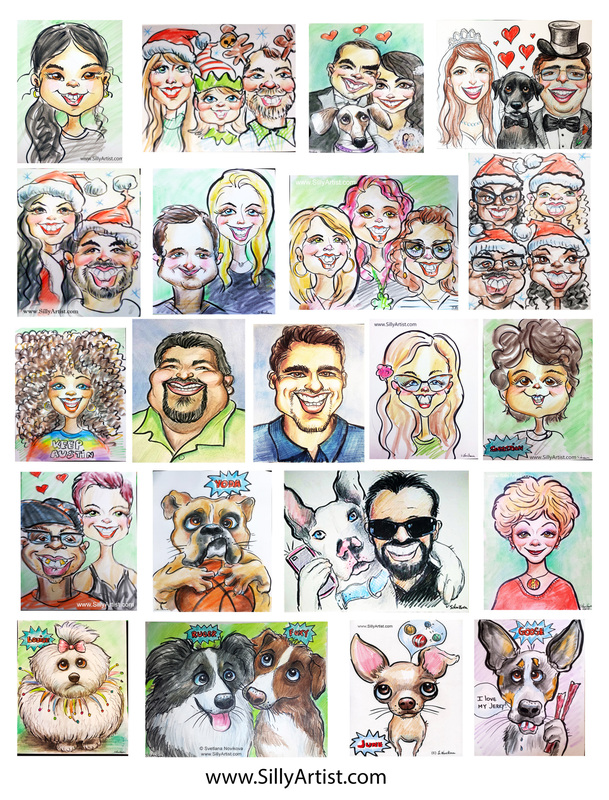 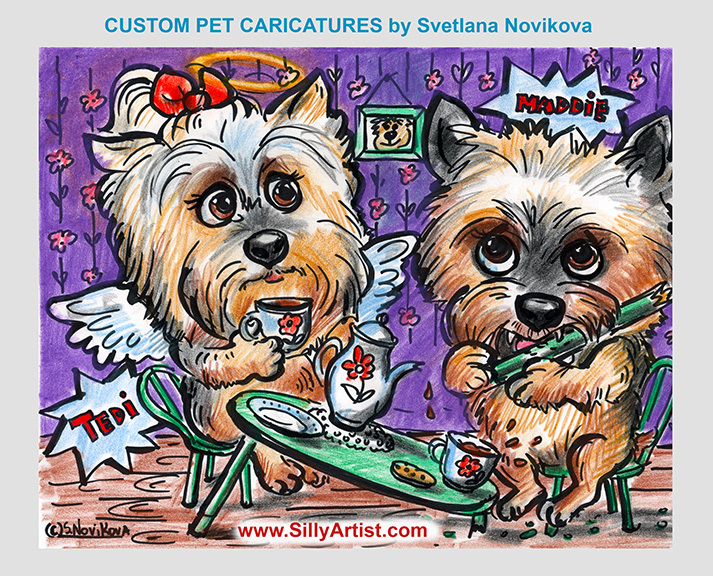 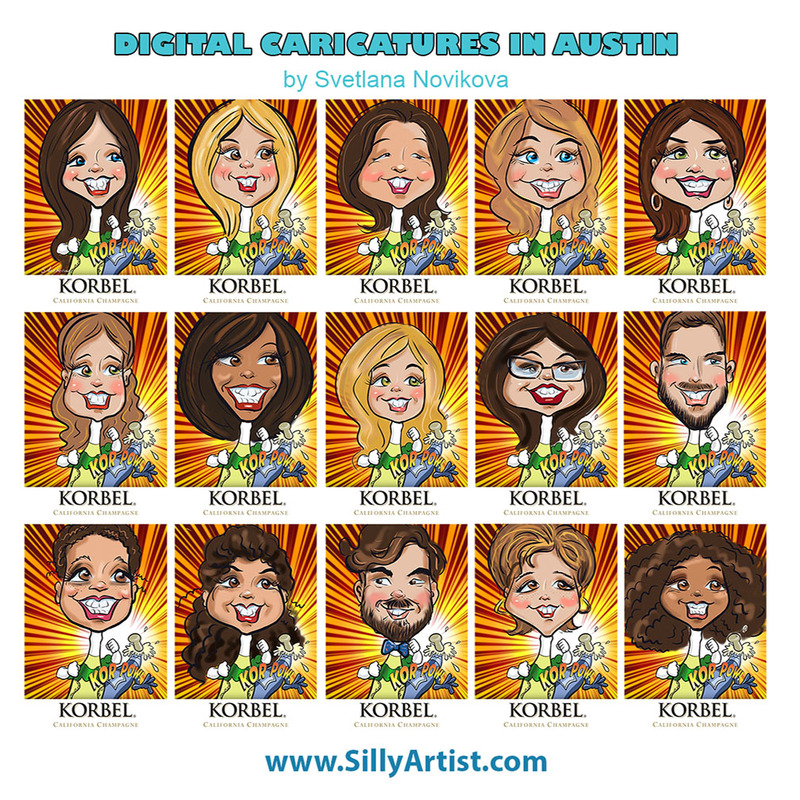 I have done caricatures at various events and companies in Austin area - IBM, Dell, Yelp, UT, Whole Foods, Domain, The Austin Paramount Theater, Back to School Parties, Christmas Events at Arboretum Shopping Mall, Wolf Ranch Mall, Austin PET Expo, Non-profit and Fundraising Animal Events around Austin, Private birthday and corporate parties, and many more. 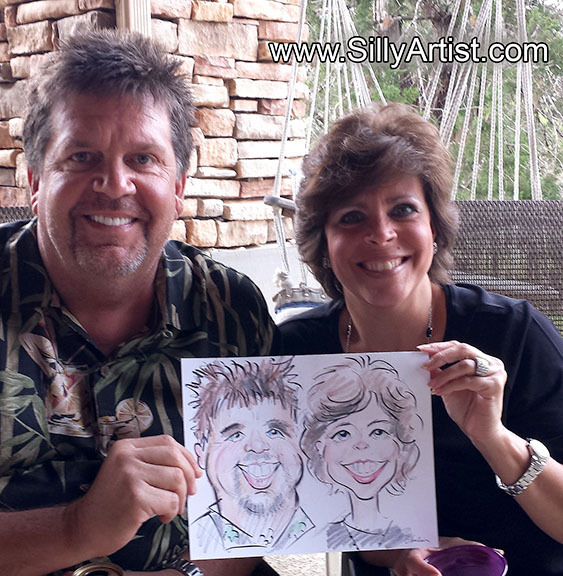 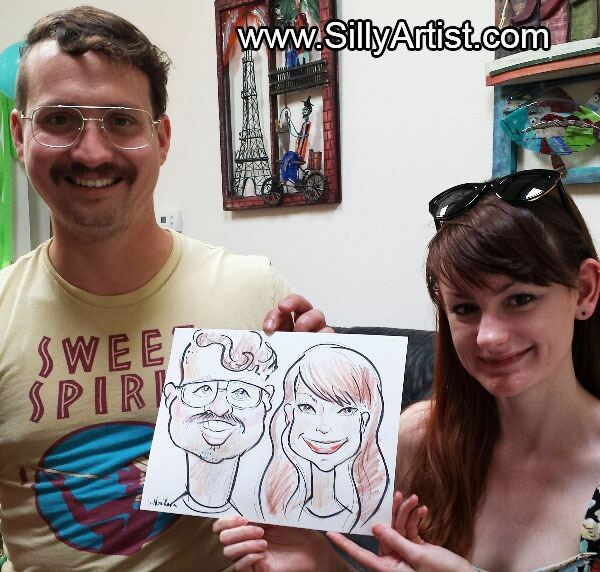 Check my Events and Caricature website www.SillyArtist.com for more information. 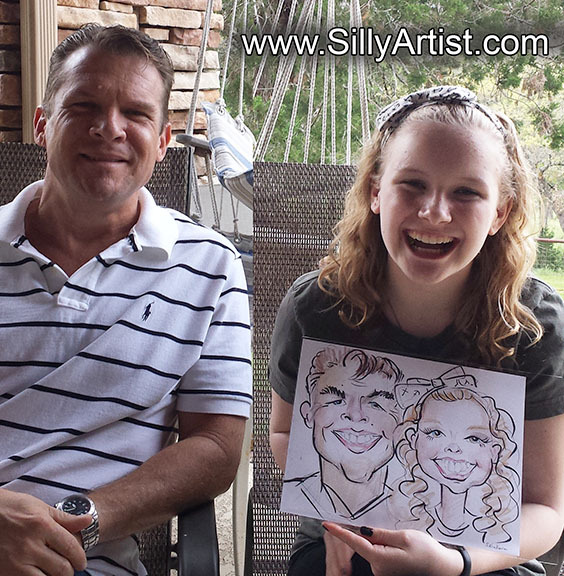 Prices start at $150 per hour or (Pay Per picture). 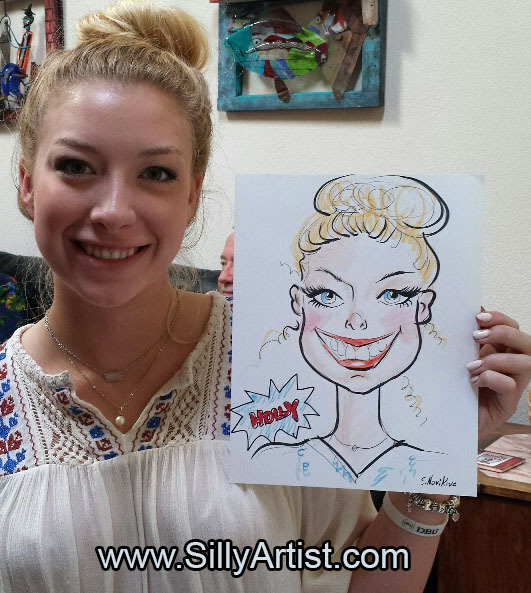 Multiple artists are also available, if you expect a large turnout. 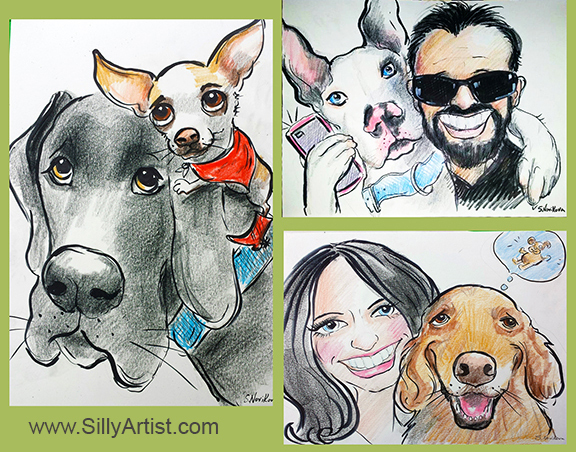 Discounts are available for charities and fund raising events. 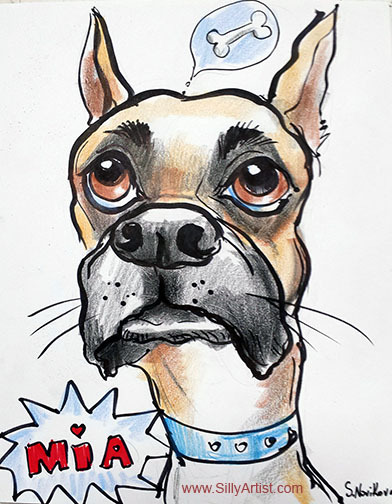 Please contact me for more information and reservations.